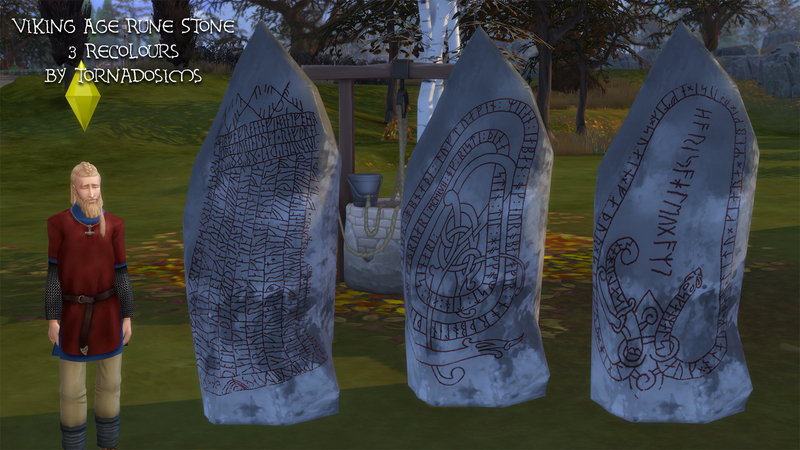 Viking Age Rune Stone includes 3 recolours of the world object standing stone from Sims 4 Get Together of historical rune stones from the Viking Age. It is now made buyable as a lawn decoration for �200. 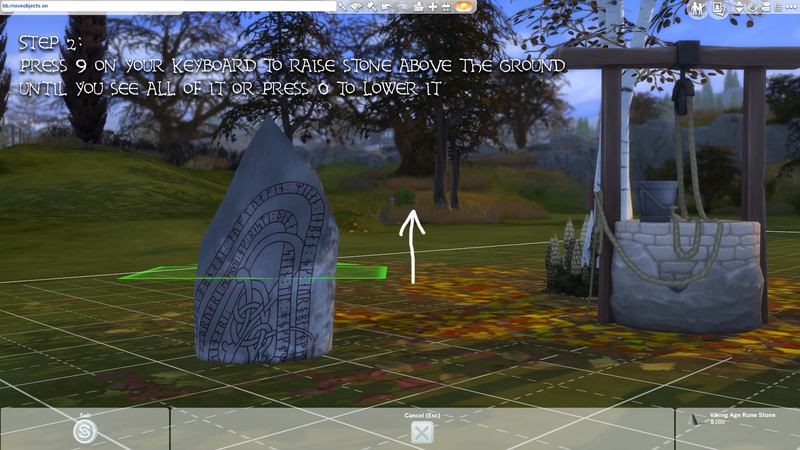 Look under Decorations > Sculptures, as well as under Build > Outdoor Plants > Rocks. 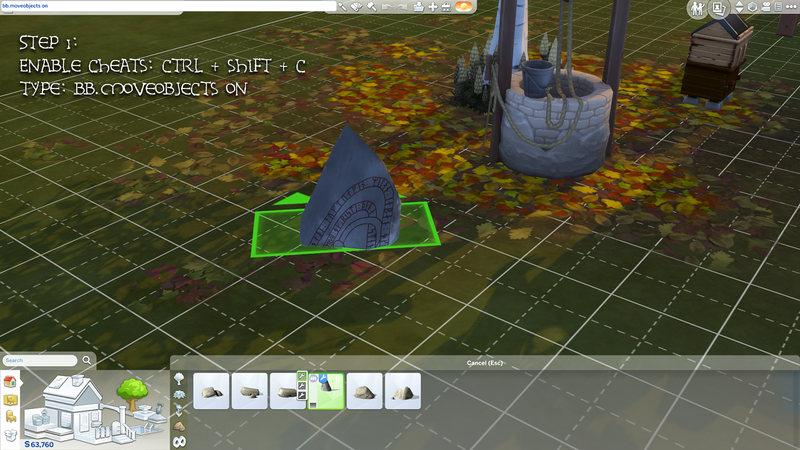 Naturally, half of the stone will be underground. 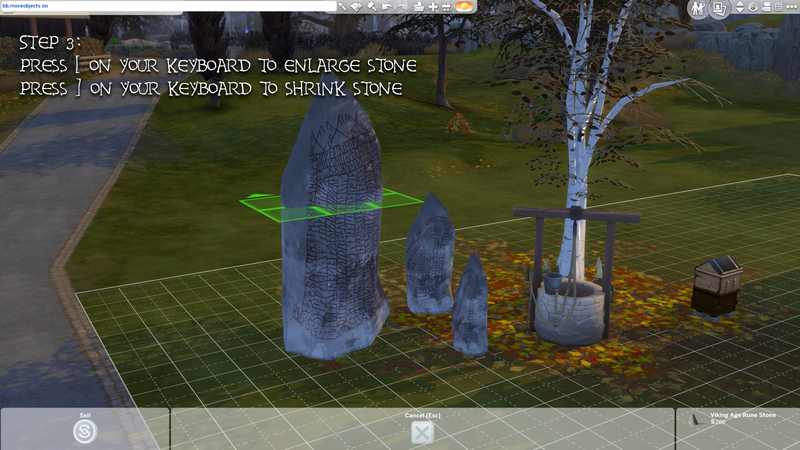 To make it visible, press 9 on your keyboard to raise it up until you see the entire stone and that it is sitting on the ground. Press 0 to lower it. It can be enlarged by pressing [ or shrunk by pressing ] to create an interesting varied look.